What just happened? If you’re on Facebook, you’ll more than likely have seen the platform’s ‘year in review’ videos it automatically creates for users. Now, The Guardian has created its very own version for Mark Zuckerberg, and it’s a brutal reminder that 2018 has been a year to forget for the CEO. The year in review videos are personalized collections of users’ activities on the platform from the last 12 months. They show what Facebook calls “meaningful moments,” such as photos and posts that you’ve shared or been tagged in. The Guardian’s version starts by revealing Zuckerberg made a new ‘friend’: whistleblower Christopher Wylie, who exposed the Cambridge Analytica scandal at the start of the year. The clip then reminds us of Zuckerberg’s appearance before Congress back in April, during which he said “follow up” or “get back to you” 31 times. There are also reminders of how Facebook continues to be used to spread hate speech and the fact that 2 million Europeans have left the site this year. Facebook, and by extension Zuckerberg, may have thought the worst was behind it when the dust from Cambridge Analytica appeared to settle. But it’s had to deal with security vulnerabilities, bugs, and the recent accusations that it allowed partners such as Netflix and Amazon access to users’ messages. It will also have to deal with the lawsuit brought against it by Washington DC over Cambridge Analytica. 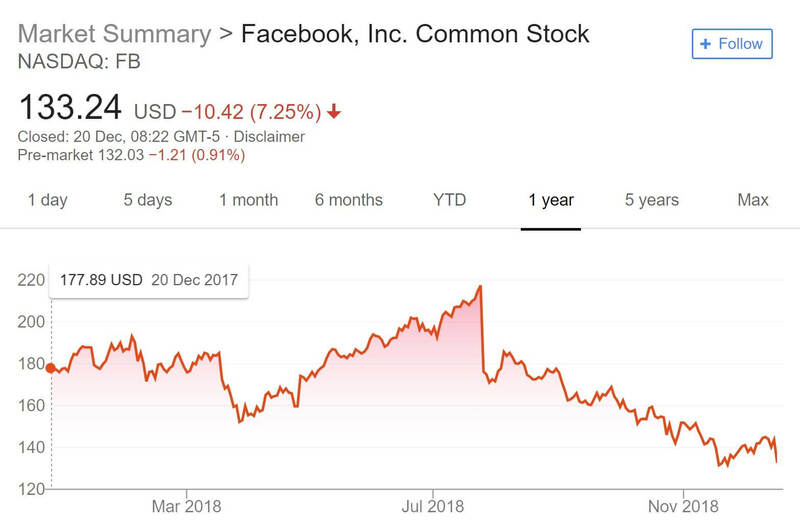 As Facebook’s share price plummets in the wake of these scandals—it dropped another 7.3 percent recently—Zuckerberg has lost more of his net worth, around $15 billion, than anyone else in Bloomberg’s Top 500 rich list.